Big Fords were given a freshen up for 1963 and was arguably the era of the best looking Galaxies. The lines were more squared off and the windshield was set at a more rakish angle. There was also a new grille and bumpers. Galaxie, introduced for the 1959 model year was a replacement for the Fairlane 500. The standard Galaxie was an intermediate trim level with the Galaxie 500 offering the most luxurious appointments. The 500XL went a stage further and offered bucket seats, center console with floor mounted transmission shifter and some extra pieces of trim including the XL badging. 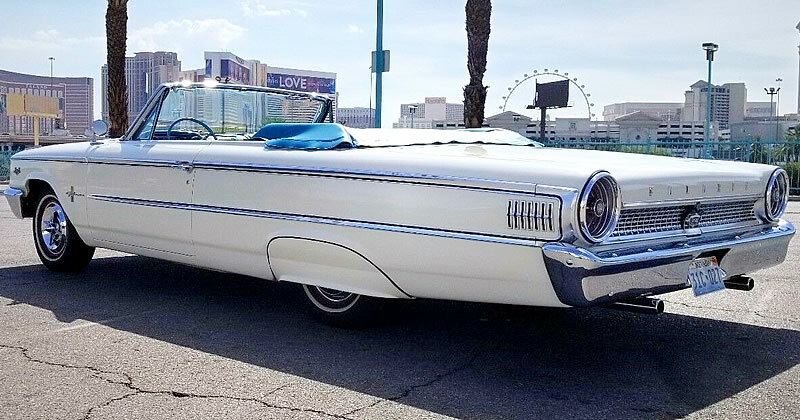 The '63 Galaxie 500XL features two chrome moldings on the side of the car with seven hash marks just in front of the new, larger taillights. The interior of this car is new and looks great. 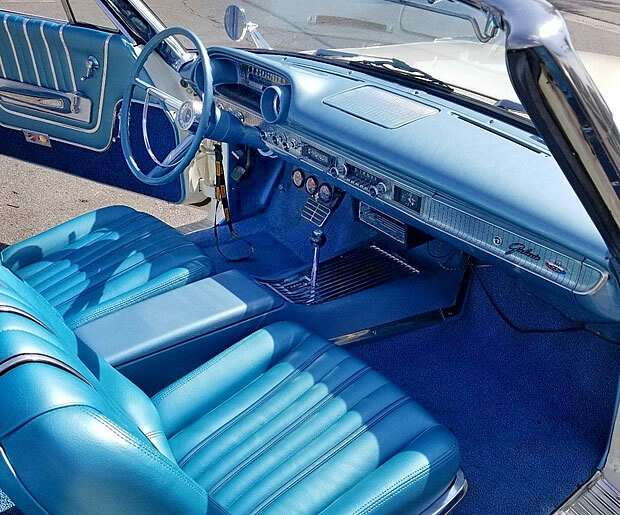 Convertibles were only available with all-vinyl interiors and offered in five different colors. 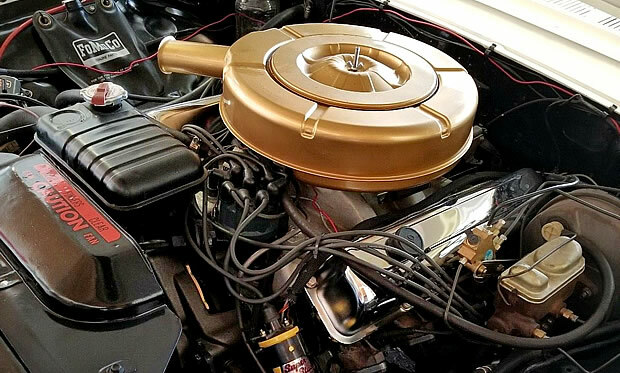 Under the hood there is a 390 V8 with 4 barrel carburetor (300 horsepower) which is paired with a Cruise-O-Matic automatic transmission. Ford managed to sell 18,551 Galaxie 500 XL Convertibles for the 1963 model year. Unlike the other Galaxie models that came with a six cylinder as standard the 500 XL came with a 260 cubic inch V8 as its standard engine. The base price for this was $3,518. The 390 in this car would have come in at an extra $138 including the Cruise-O-Matic. ’63 FORD GALAXIE has always been one of my personal favorite big Fords. This is a beautiful car. The only change I would make based on the photos is the rims. I’d paint them blue to match the interior. Otherwise, it would look great in my driveway! They are chrome rims. You don’t paint them.